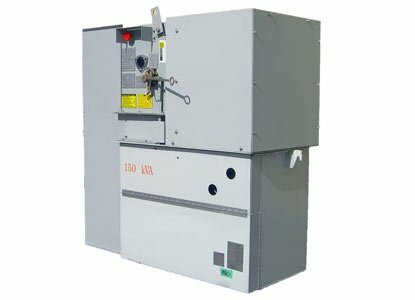 Green DPS Distribution is a power distribution system that transforms the power from the utility delivery voltage (ex: 27.6kV) to the utilization voltage (ex: 208/120V) at the location it is needed and used internal to the building. 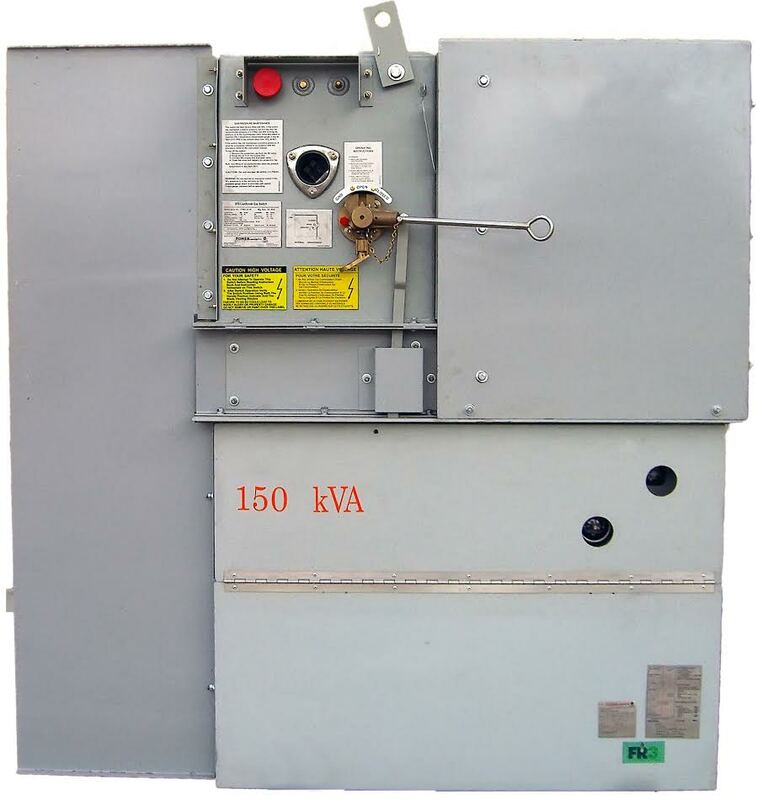 The power is distributed at the medium voltage level, eliminating significant losses in the overall distribution system. 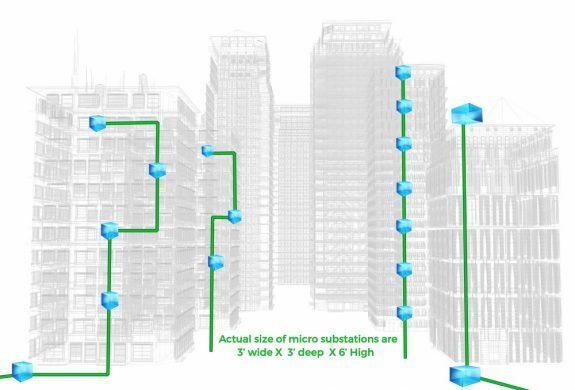 Green DPS is a solution of two of our substation products called the MiniSub & MicroSub. 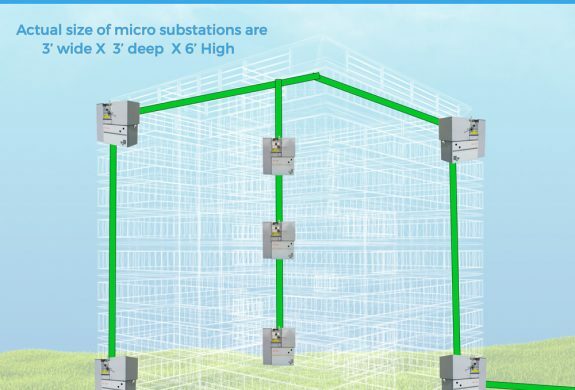 Each of these substations can be purchased as a standalone product within a traditional building powering infrastructure framework. 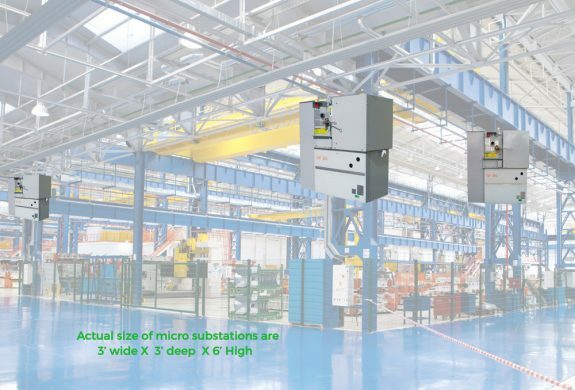 Combined together, our MiniSubs & MicroSubs offer a powerful the building powering solution ideal for either a new-build and/or a retro-fit called Green DPS. Green DPS stands for Green Distributed Power System. 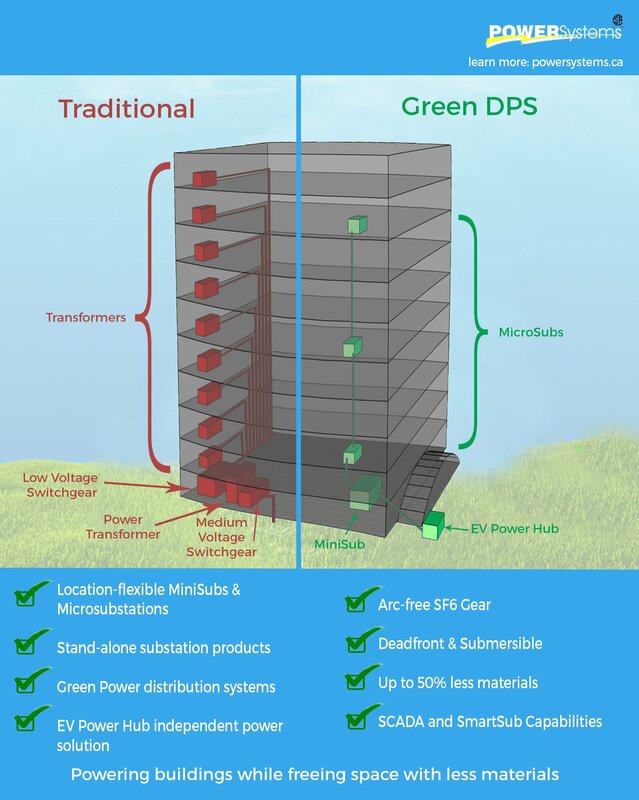 Green DPS technology is engineered to be simple but energy efficient, greener, safer and future-ready with less losses and voltage drop. 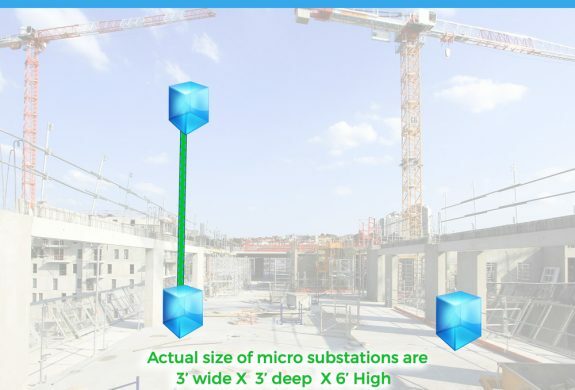 Green DPS is a premium product innovation designed to power buildings of the future ideal for residential, commercial and industrial spaces as well as zones with low EMF needs like hospitals. 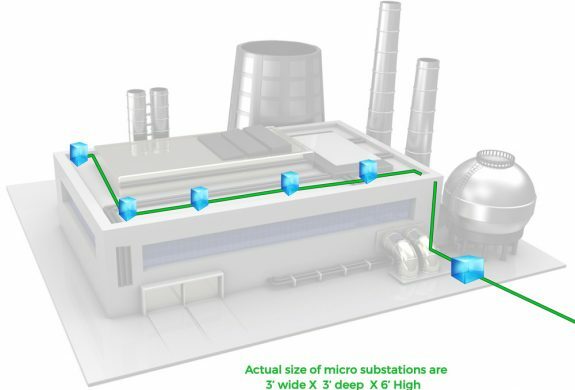 Green DPS components (either a MiniSub or a MicroSubstation) can be used alone within traditional systems if the entire solution is too powerful. 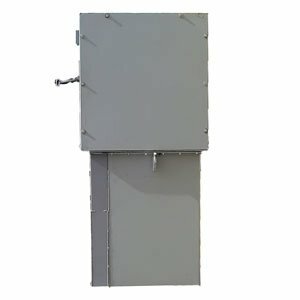 EV charging options are available. 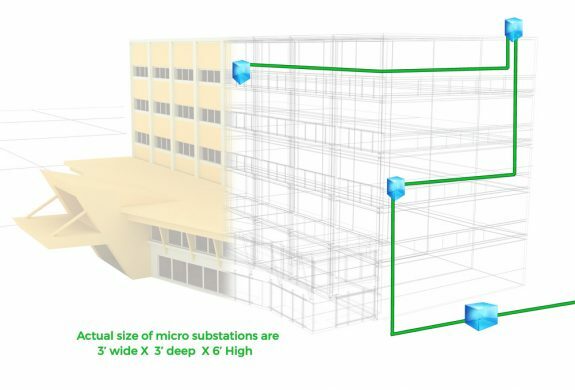 More usable &/or rentable space throughout your building.